The Mahindra KUV100 is the smallest vehicle by Mahindra in the passenger car space. The KUV100 is termed as a micro SUV. The Mahindra KUV100 starts a new segment, but is priced similar to the Hyundai Grand i10 and the Maruti Swift. How does it fare against the two biggies? Is it good value? We take a look at them in our Mahindra KUV100 vs Maruti Swift vs Hyundai Grand i10 comparison. The styling of all three differ while look at the Mahindra KUV100 vs Maruti Swift vs Hyundai Grand i10 comparison. While the Swift is more on the sporty side, the KUV100 have a mix of trendy styling and SUV stance. The Grand i10 is more of the subtle out of the three. This looks premium and has a better appeal too. The Grand i10 looks more practical, while the Swift has a swanky styling. The KUV100 looks more appealing and a design that is inclined towards the youth. It is unlike anything seen on the roads. There is an interesting difference in the Mahindra KUV100 vs Maruti Swift vs Hyundai Grand i10 design. You will see that the interiors of all three are contemporary in the Mahindra KUV100 vs Maruti Swift vs Hyundai Grand i10 comparison. 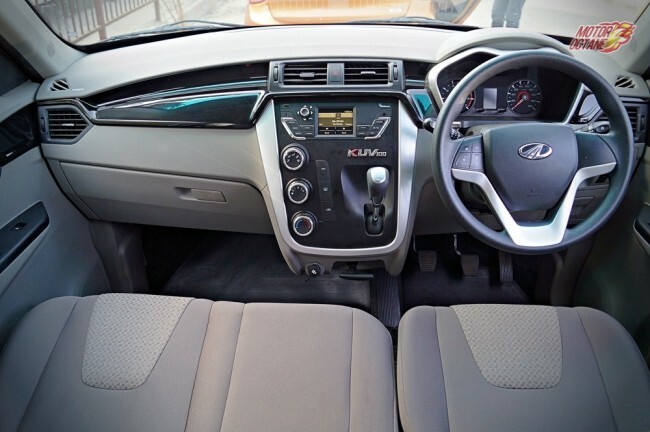 K stands for Kool in KUV100 and Mahindra has designed the interiors ergonomically. The black and grey instrument panel is a welcome change as most of the cars today have black and beige, which suits mature car buyers. The gear knob on the centre console looks a bit odd, but is a very good placement to save out on space. 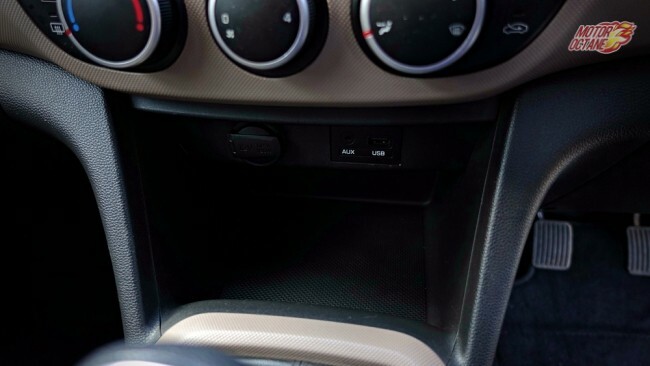 The three-knobs control the air-con vents, while the handbrake is old-fashioned. 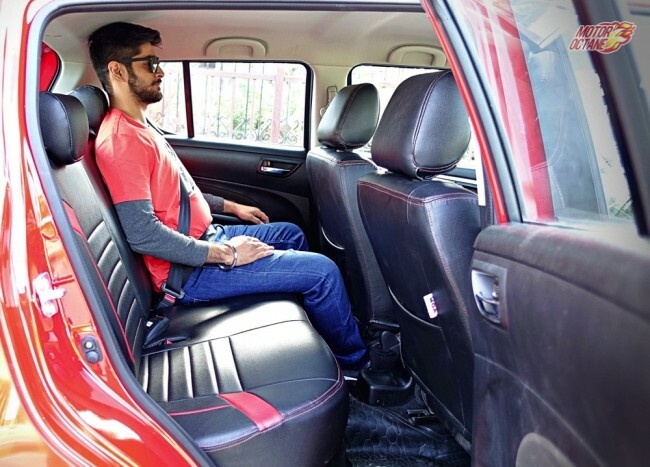 This has helped to save out on space and Mahindra has done a good job by adding the third extra seat. Now, lets be honest, safety is a priority for us too, but once in a while you do require six people to be taken and that is when this comes handy. The other downside of the KUV100 is the music system, which needs to have better quality speakers to enhance the current output. 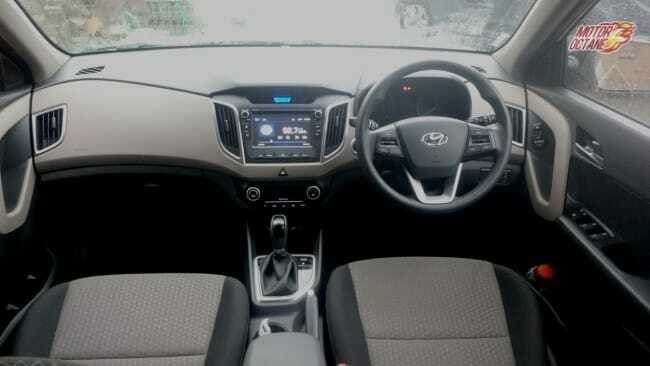 The Grand i10 on the other hand does feel premium with the black and beige interiors along with the top notch plastics and a sophisticated instrument panel. The styling is basic and easy on your eyes. Hyundai is clearly targeting the mature audience with this hatchback. The three-spoke steering wheel comes with audio controls for music system and calling too. The Grand i10’s styling is much different from most of the competition. The round air-con vents are a refresh when it comes to the styling. The piano black finish on the gear box and the cool blue backlit interiors are soothing and aren’t harsh at night. Hyundai gets full points for the instrument panel design. The all-black interiors of the Swift remain our favourite. This premium hatchback is one of the highest selling vehicles and there is no rocket science to understand that. The look and feel of Swift’s cabin isn’t as good as the Grand i10, but it feels a tad better than the KUV100. The centre console looks a bit too cluttered and even the instrument cluster numbers aren’t as easy to read as the Grand i10. 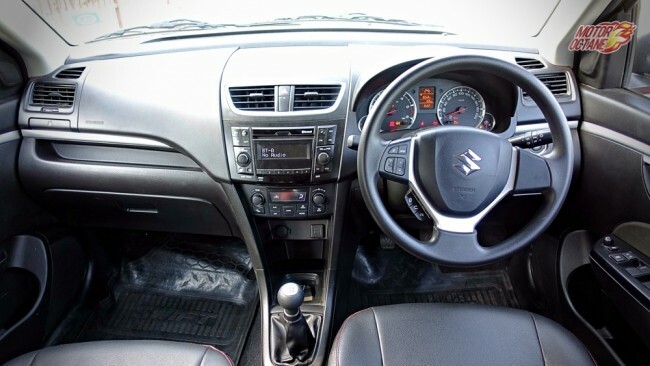 The Swift facelift got some additional features and that is when it got the telephone buttons on the steering wheel as an add-on. The orange lit interiors are the good too. The Swift’s ambience feels youthful and meets the needs of what a Grand i10 or even a KUV100 will need. Winner: In interiors of Mahindra KUV100 vs Maruti Swift vs Hyundai Grand i10, the Grand i10 is the pick. 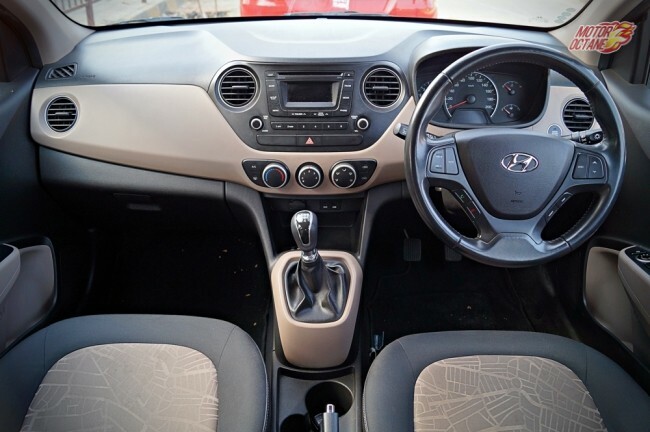 In terms of interior quality look and feel, the Grand i10 excels ahead of the competition. This makes it an ideal pick for us. Practicality is one important aspect when we are comparing the Mahindra KUV100 vs Maruti Swift vs Hyundai Grand i10. 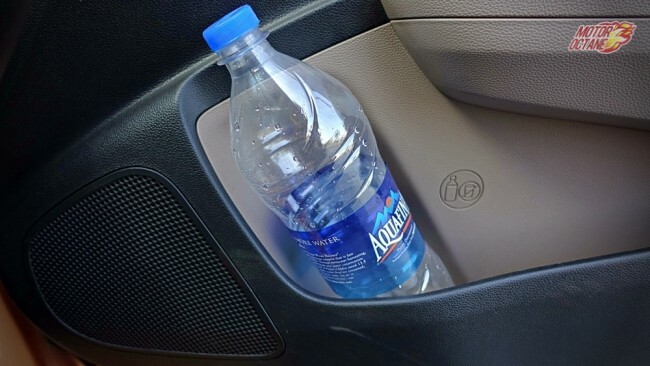 First to begin with, all the four door pockets have one litre bottle holding capacity. 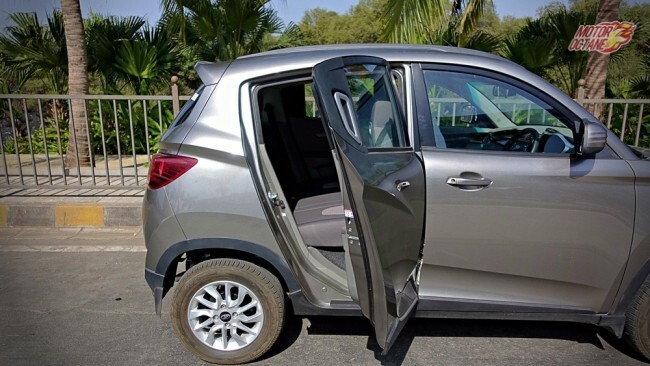 One clear advantage of the KUV100 is that the front and rear doors open a bit wider and the tall stance makes it easier for ingress and egress. Winner: In practicality between Mahindra KUV100 vs Maruti Swift vs Hyundai Grand i10, the Grand i10 wins with the KUV100 finishing very close to it. 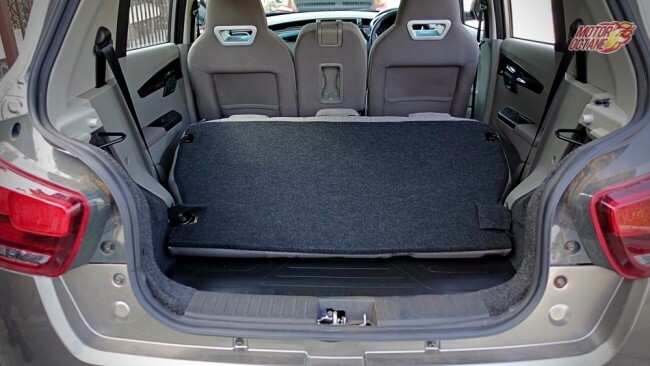 In terms of space for passengers, stowage spaces and other practicality, it is the Hyundai that is the better pick. Talking about the performance of Mahindra KUV100 vs Maruti Swift vs Hyundai Grand i10, these cars are quite different from each other. trol as well as diesel engine options and are quite distinct in the way they perform. 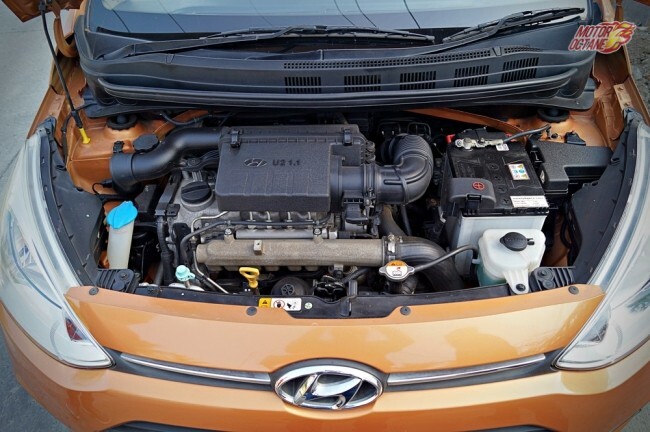 KUV100’s petrol engine has more vibration than the diesel engine, which is very surprising. The power of the KUV100 is just fine but the drivability in city needs some amount of gear shifting. NVH levels have been very well controlled. The drivability is great and is helped by the shorter gear ratios. In-gear acceleration is amongst the best in-class. The engine is mated to a five-speed manual gearbox. 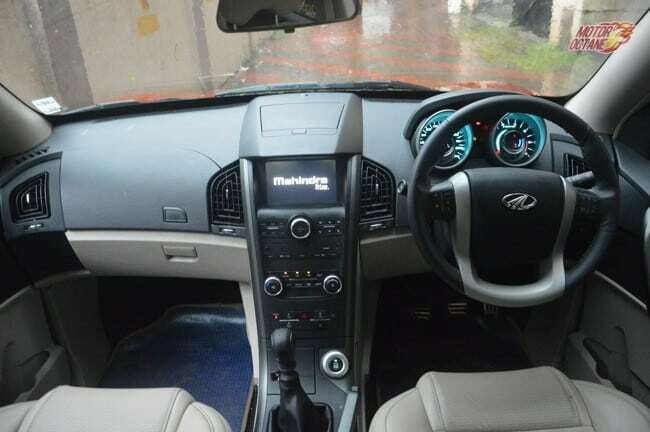 The gearshifts are pretty smooth and the positioning of the lever on the dashboard centre console is quite convenient while shifting and feels much better compared to other Mahindra vehicles. 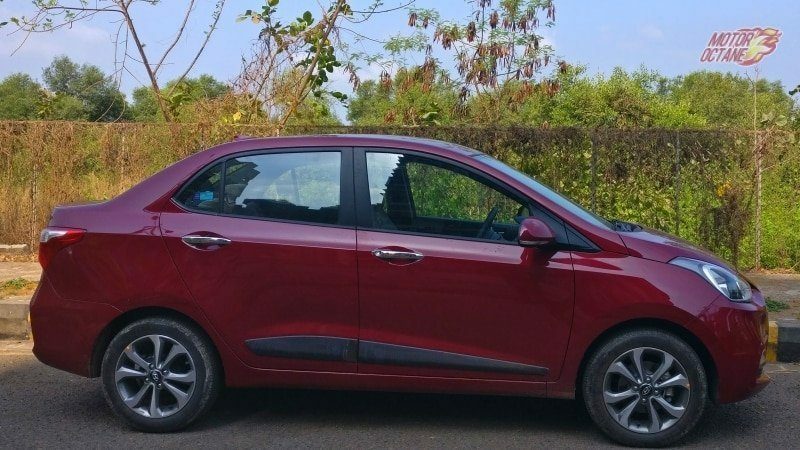 The petrol engine has similar power output like the Swift, but one needs to work a bit harder to extract some good performance from this engine.In terms of outright power the Grand i10 is the least powerful of three but doesn’t feel underpowered. The power delivery is linear and unlike the Swift doesn’t give a sudden rush of torque. 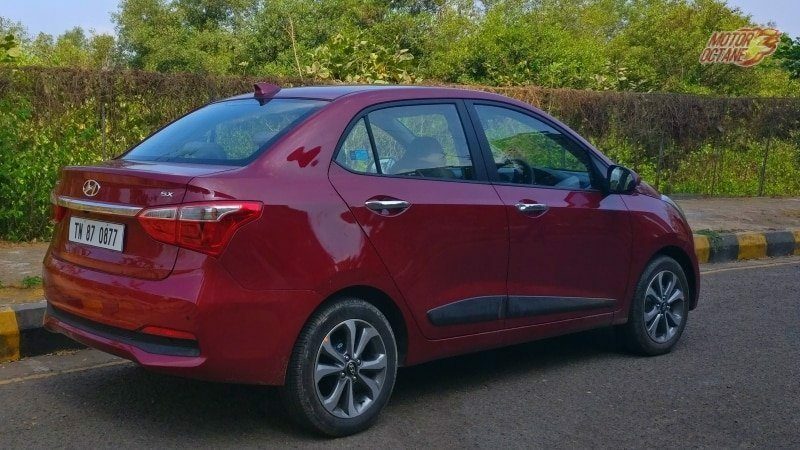 However, the Grand i10 has quite pronounced vibrations especially at idle and the three-cylinder characteristics are evident. Its the high revs where it is not comfortable and gives a feeling of stalling and promoting an upshift. The best petrol engine of the lot on the Swift, it has good power and drivability is certainly the best of all. This engine doesn’t feel out of steam in the city or even on the highway. Most of the power comes in at higher rpm, but even the low and mid-range there is sufficient pull. 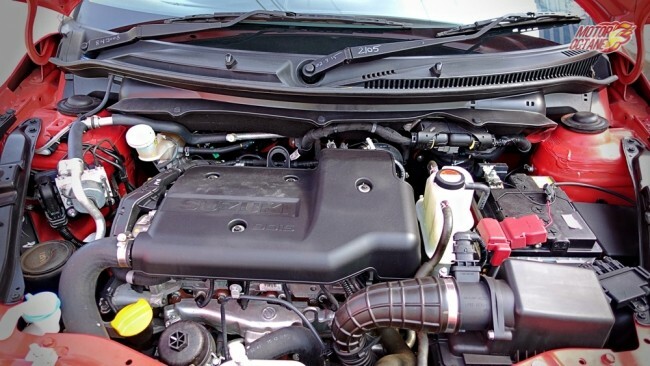 When it comes to diesel, the Swift has the largest diesel engine. It is tuned to offer sprightly acceleration and that is evident the moment its turbocharger kicks in at 1800rpm. There is a sudden surge of power and catapults the car in a sporty fashion. In the engine of the Mahindra KUV100 vs Maruti Swift vs Hyundai Grand i10, the Swift comes out on top, overall. 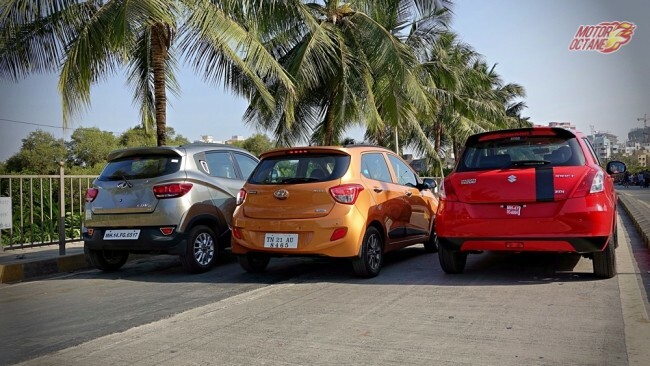 In the Mahindra KUV100 vs Maruti Swift vs Hyundai Grand i10 mileage competition, all the three vehicles have good fuel efficiency in diesel and it is very difficult to say a clear winner here. All have an efficiency of about 15km/l in the city, while on the open road the number goes up to 20km/l. The petrol engines vary in efficiency. We haven’t done a lot of running in the KUV100 petrol but of the three, the Swift’s 1.2-litre petrol is the most efficient at 12-13km/l in the city, while on the highway it is about 16km/l with ease. 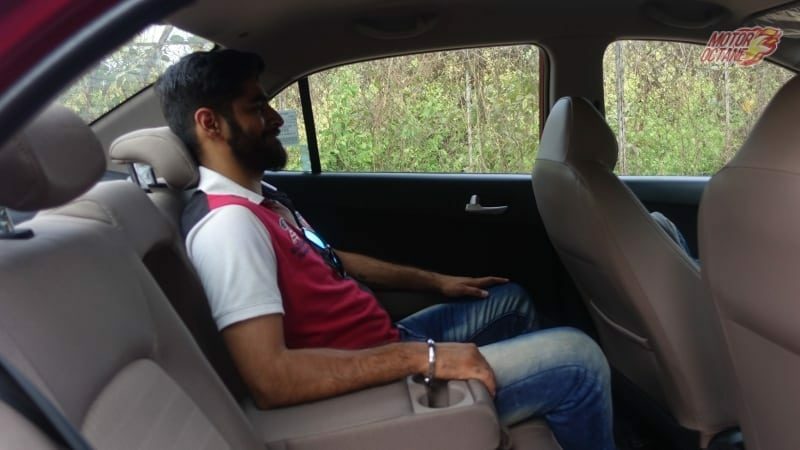 Lets come to the ride and handling part of the Mahindra KUV100 vs Maruti Swift vs Hyundai Grand i10 comparison. Mahindra’s KUV100 is made on a monocoque chassis like the other two and the ride on this micro SUV is much better than most of its siblings. The ride on smooth roads is good even at high speeds. 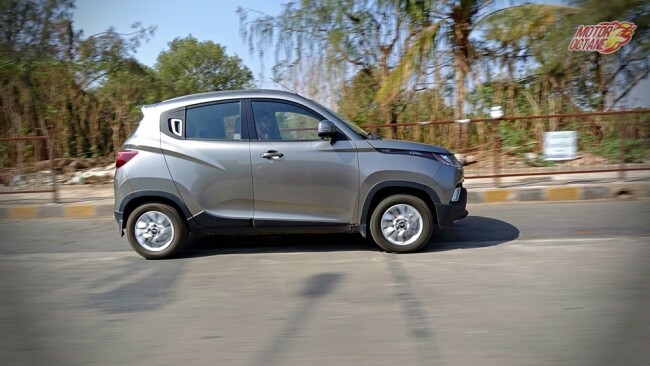 The KUV100 feels confident and planted always even at high speeds. This is a comfortable vehicle to cruise in. The handling of the KUV100 is good for its size. 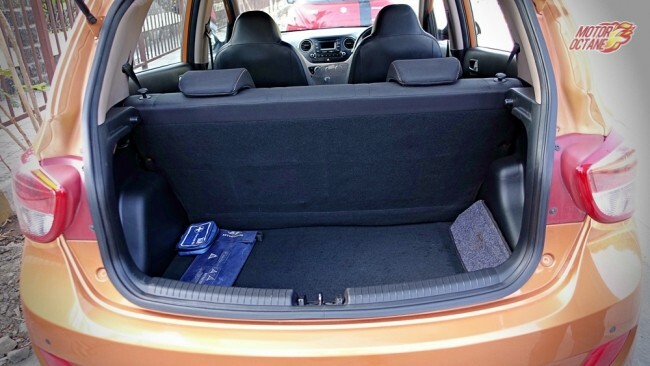 The Hyundai Grand i10 has a supple ride quality and is one of the best . 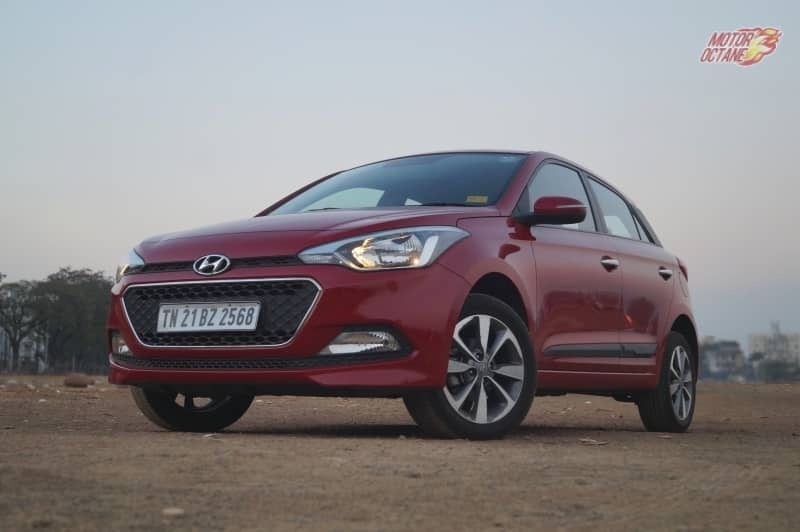 This Korean hatchback feels a bit unsettled on bad roads, but this is a very minute issue as we are just trying to pin point minor issues with the Grand i10. In terms of handling, the Grand i10 has some body roll when you change directions rapidly. 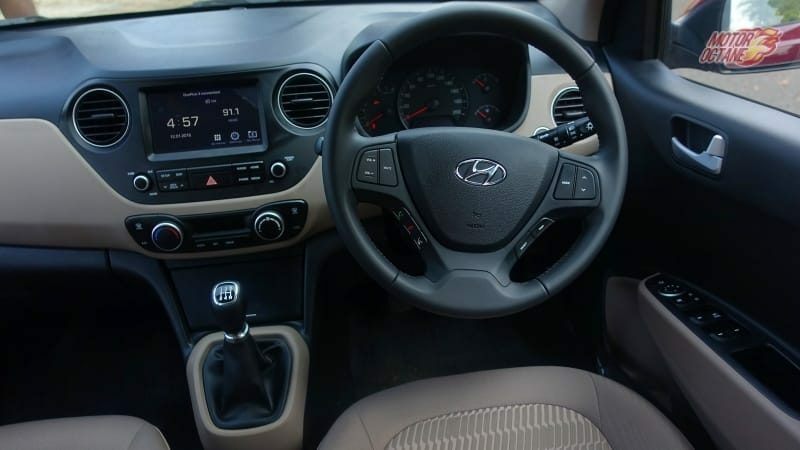 The Grand i10’s steering wheel is much better than the previously sold Hyundais. 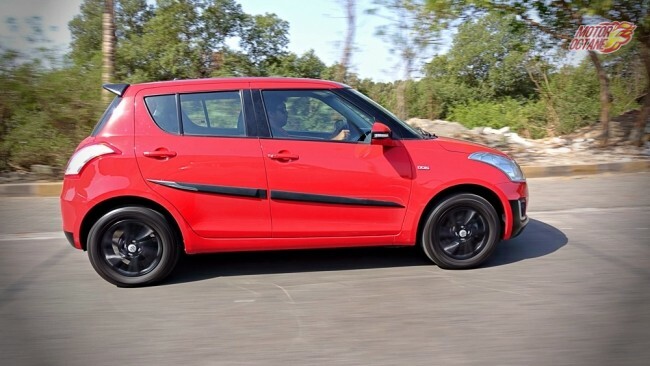 The Maruti Suzuki Swift has stiff ride when compared to the lot. It doesn’t feel bumpy or unsettled on bad roads that easily but some of the road shocks do get filtered into the cabin on bad roads when compared to the other two. In driving dynamics, the Swift leads the pack with the agile handling characteristics. 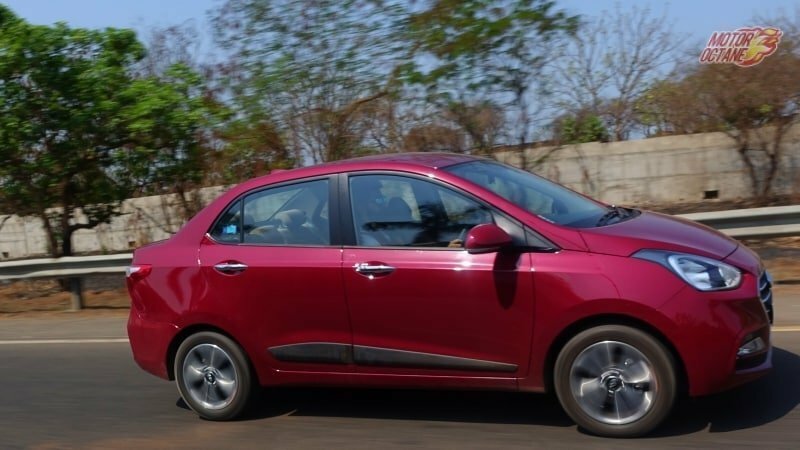 Winner: When it comes to Mahindra KUV100 vs Maruti Swift vs Hyundai Grand i10 ride and dynamics, Maruti Suzuki Swift is our clear pick in this department. The Swift is stylish with detailed instrument panel, decent space, powerful and frugal engines and is the most fun to drive. 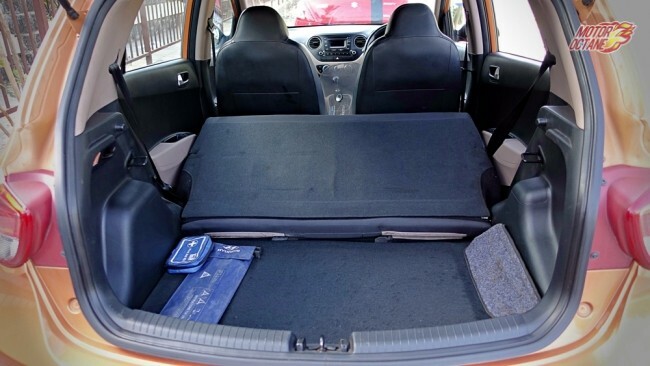 The Grand i10 on the other hand is the most spacious and feels premium of the lot. The KUV100 is an interesting package to consider and this will make several young car buyers to pick this micro SUV. In the Mahindra KUV100 vs Maruti Swift vs Hyundai Grand i10, when we consider, the value for money aspect the Grand i10 wins it hands down. Hyundai Grand i10 is the most feature-loaded hatchback, most spacious and has good options in petrol and diesel engines. The top model of the Grand i10 is the most affordable one too. The best value for money product is the Hyundai Grand i10, in the Mahindra KUV100 vs Maruti Swift vs Hyundai Grand i10 comparison. However, it doesn’t yet offer dual airbags and ABS as a standard or even optional across all variants. Only if Hyundai offered these even as optional, it would have been a great package to consider. The best variant to buy in petrol or diesel is the Sportz. If you like our story and our efforts, do share it with your friends on social media to help them decide which vehicle to buy. We will be coming up with more such detailed comparisons. Mahindra KUV100 vs Maruti Swift vs Hyundai Grand i10: which one will you book for yourself? If you are looking at buying one of these, leave your details below. The new Hyundai XCent 2017 is here. This isn’t an all new car, it is a facelift. But the Korean automaker has given it multiple changes that makes it look stylish and appealing. There are major cosmetic changes that makes it look so different. 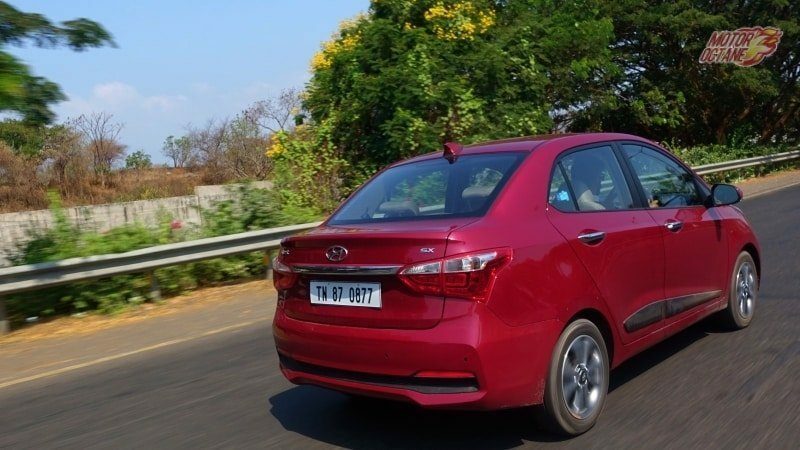 It doesn’t have any more bits that will it resemble the Hyundai Grand i10, instead it now looks a lot similar to the Verna and the Elantra family. This has changed the design and the appeal of this sedan completely. As the XCent facelift 2017 is based on the same platform, there isn’t a change in its dimensions. Hence, the proportions are the same and so is the interior space. The XCent still offers the same Grand i10 interiors, which are black and beige. There are circular AC vents and this time a touchscreen infotainment system also. 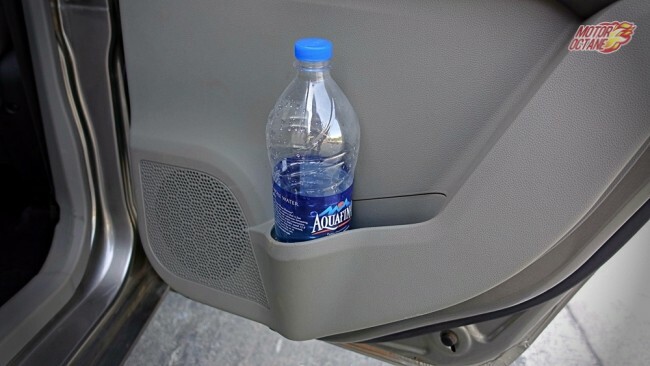 This is what makes the Hyundai look stylish. The other features on offer are somewhat the same. There is keyless entry, push start and stop button, dual airbags, ABS, rear AC vents, rear arm rest and even leather wrapped steering and gear lever. Moving on to the engine, there is a 1.2-litre Kappa2 engine that produces about 83bhp of power and 115Nm of maximum torque. This is offered with a five-speed manual and four-speed automatic options. At the same time, there is an all new 1.2-litre CRDi diesel engine that churns about 85bhp of power and this comes with a five-speed manual only. This is an all new engine and has an improvement in its power and mileage both. The pricing does not change much.The New Hyundai XCent 2017 starts at INR 5.9 lakhs and goes upto INR 9.3 lakhs, on-road, Delhi. This new sedan gets additional features making it an even better value for money sedan than before. There are been a change in the features on offer in the variants and there are been an addition in each of the variants. There are been an increase in the features that each one offers. The new 1.2-litre diesel also makes its way into this car. It was earlier launched with the new Grand i10. The best bit about this engine is its refinement. It is extremely quiet and it doesn’t make much noise either. This is one of the most highly refined diesel engines in the country. The power is good enough. There isn’t any kind of turbo lag and the engine has good amount of power and torque delivery too. This comes with a five-speed manual transmission. The gearbox is easy to shift and the clutch is extremely light too. This is what makes this engine such a good bit. The New Hyundai XCent 2017 facelift gets an all new fascia. There is a new trapezoidal grille, which is now a trademark of Hyundais. This grille now has chrome slats that makes it look cool. At the same time, this makes it look bigger. The headlamp design is the same as that on the Grand i10. This doesn’t get any change. There are daytime running LEDs also in it. The new XCent looks more stylish and the fresh look is welcome. But in real life, it looks a bit off in proportions at the front. The new fascia and rear makes it look completely different. 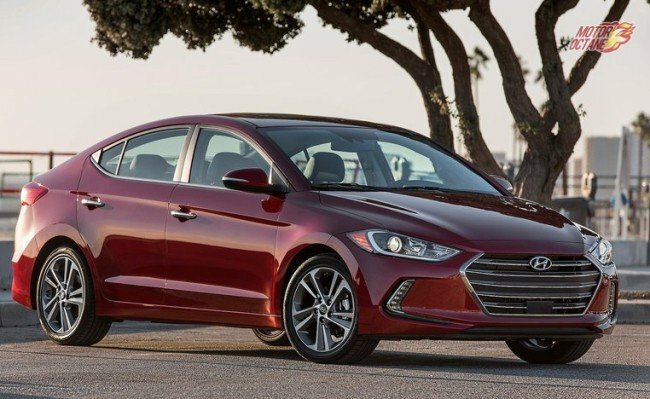 Hyundai has done a good job to differentiate the compact sedan from its hatchback sibling. The side profile of the New Hyundai XCent 2017 is the same. It gets a new set of alloy wheels, though. The proportions are also the same as this is a cosmetic upgrade than an all new platform. The rear gets some additional chrome treatment to make it look more upmarket and tail lamp is now a two piece, wrap around one. The New Hyundai XCent 2017 comes with a touchscreen system this time. This touchscreen has MirrorLink and voice recognitions with Navigation. The XCent gets some more updates on the inside in terms of features, as it will get cooled glovebox too. The New Hyundai XCent 2017 will continue to be offered with black and beige interior trim and the seats will have integrated head rests too. 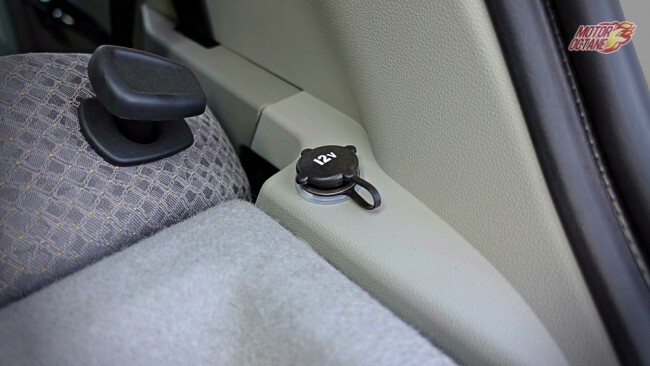 It offers bluetooth connectivity, keyless entry, push start and stop, memory storage of 1GB in the music system, reverse parking camera, dual airbags and even ABS. A new seat fabric will be seen here. The steering wheel and the gear knob remain the same. The top end variant comes with leather steering. The space in the XCent has been good. 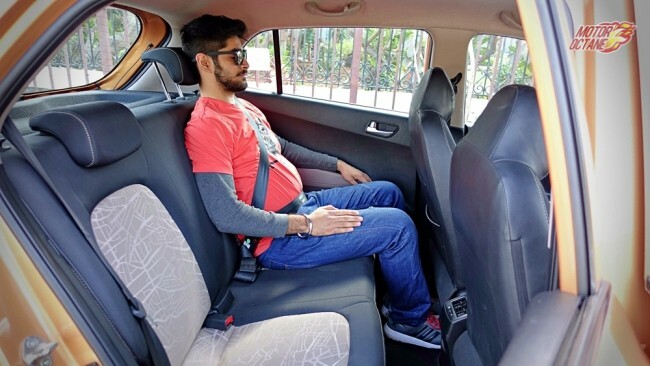 The front row seats offer good amount of knee room for the front passengers and the rear seat knee room too is good on the XCent. There is a rear AC vent too that comes on the XCent and it gets a rear charging socket too. 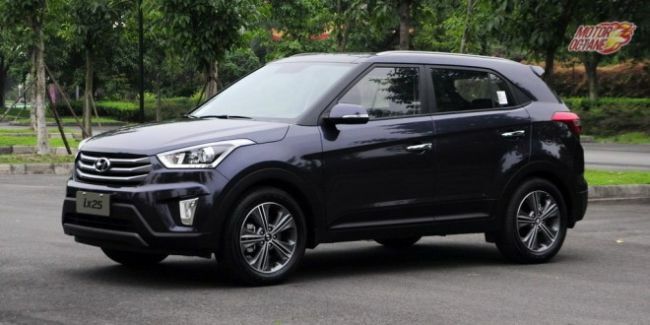 As the competition of the XCent is increasing their features, Hyundai will update New Hyundai XCent 2017 with more features. Hyundai will be offering the New Hyundai XCent 2017 with five variants. These are E, E+, S, SX and SX (O). There is an automatic version also which comes only in SX trim, in petrol. E Variant: The E variant gets immobiliser and dual airbags in safety. On the outside, there is the chrome front grille, rear chrome garnish and body coloured bumpers. On the inside, the features are driver information system, electric power steering, manual AC, front power windows, internally adjustable wing mirrors and cooled glovebox. E+ Variant: The E+ variant gets front fog lamps, central locking, day and night mirror for safety. 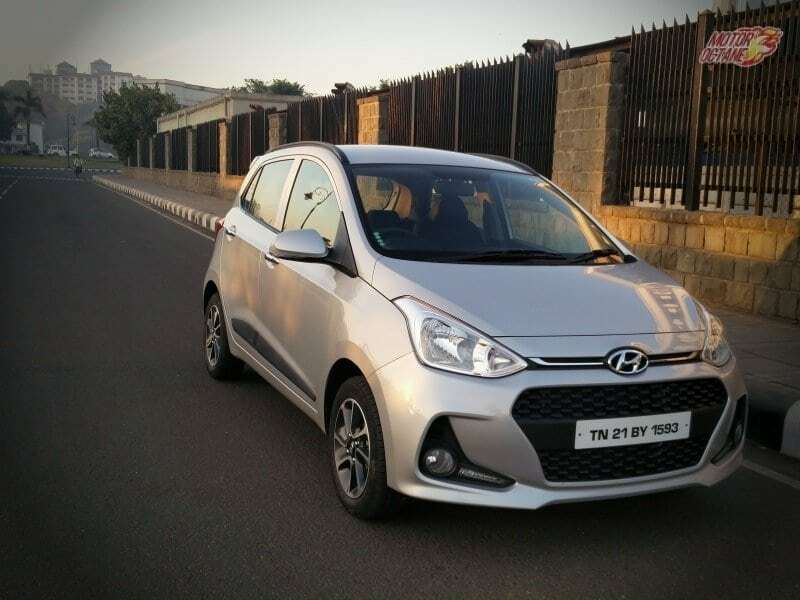 On the outside, the extra bits are B-pillar blackout, body coloured outside door mirrors and handles, rear seat armrest and cupholders, digital clock, 2-DIN music system with bluetooth, aux/USB input and steering controls also. There are four speakers on offer. There are rear AC vents, rear charging socket, rear power windows, vanity mirror, luggage lamp and tilt steering wheel. S Variant: The S variant gets safety features like rear defogger, rear parking sensor, folding key, impact sensing auto door unlock for safety. The other bits that are included are chrome radiator grille with chrome slats, Daytime running LEDs, turn indicators for outside mirrors are the bits for the outside. On the inside, it gets chrome finish door handles, gear lever and even hand brake. The comfort features are electric folding mirrors, luggage lamp and tilt steering wheel. SX Variant: The extra safety features on this variant are reverse camera and ABS. On the outside, the extra bits are waistline moulding and 14-inch clean silver alloy wheels. On the inside though there is the new 7.0-inch touchscreen infotainment system with Apple CarPlay, Android Auto and MirrorLink technology and driver seat height adjustment. SX(O) Variant: This variant gets push start and stop button, 15-inch diamond cut alloy wheels, climate control air-con, leather wrapped steering wheel and parking brake lever. If you are looking at booking yourself a new Hyundai XCent 2017, share your contact details with us. Only for Mumbai, Pune, Bengaluru, NCR and Hyderabad. The Hyundai Verna is now offers with heavy discounts of upto INR 97,500 in Bengaluru. In Mumbai and Delhi the discounts are around INR 80,000. Additionally there is also a one year roadside assistance being offered free of cost. A new generation Verna is about to be launched this year, hence the current model is being offered with high discounts. With discounts as these, it surely is a lucrative buy. 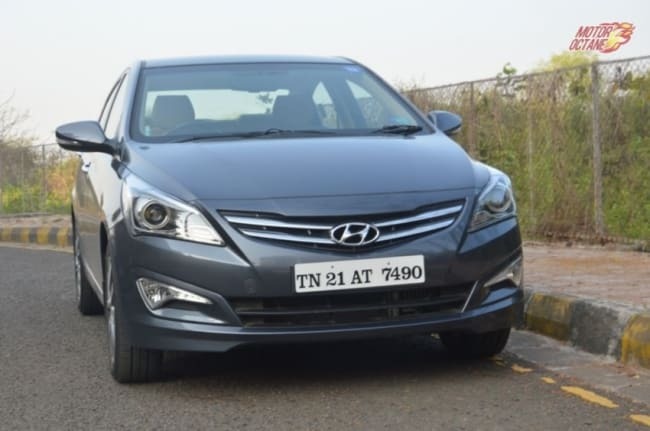 The current Hyundai Verna Facelift 2016 comes with certain upgrades. The Verna has been one of the best selling sedans in India. The Hyundai Verna facelift was launched in 2015, to give a boost to its lifecycle. This time, for 2016, Hyundai has re-introduced the top-of-the-line SX(O) variant which was discontinued last year. With new features, the Verna is aiming at competing fiercely with the likes of Honda City, Maruti Ciaz and Volkswagen Vento. Let us see what the Hyundai Verna Facelift 2016 has to offer. The Maruti Ciaz is the most premium offering from Maruti. It is also very successful and one of the best selling sedans in the country. We pitch it against another favourite sedan, which is the Hyundai Verna. How do they stack up against each other? Which is a better buy? Lets find out. Maruti Ignis was launched with a lot of fanfare. This is the new sub-compact SUV from the largest car maker. There is another new launch by Maruti’s rival, which is the Hyundai Grand i10 2017. The Ignis is a premium offering from Maruti. 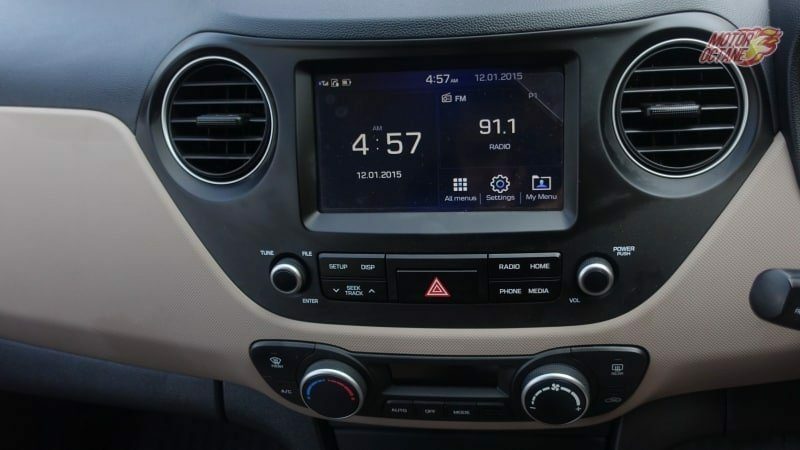 The Grand i10 also receives few upgrades that makes it attractive. We compare the Ignis to the newly launched Hyundai Grand i10 2017 as they are the two latest vehicles of 2017. The Hyundai Grand i10 2017 has been a successful product and a good seller for the Korean manufacturer. It now gets a facelift, both in terms of cosmetics and technicals. The Ignis is sold from the Nexa experience showrooms and is positioned as a premium car. The Grand i10 2017 betters itself with a facelift. Let’s find out how these two stand up against each other, in the Maruti Ignis vs Hyundai Grand i10 2017 comparison. Both the Ignis and Grand i10 2017 are excellent products, however the lower pricing of the Grand i10 makes it a better value for money package. Crossovers are the talk of the town and every manufacturer is trying to enter this arena. Honda is introducing the WRV shortly in a segment which has by and large been dominated by the Hyundai i20 Active. This is the first time that Honda will be coming out with a product like this. The WRV is a direct competitor to the i20 Active. How do they compare against each other? Let us see in the Honda WRV vs Hyundai i20 Active comparison. 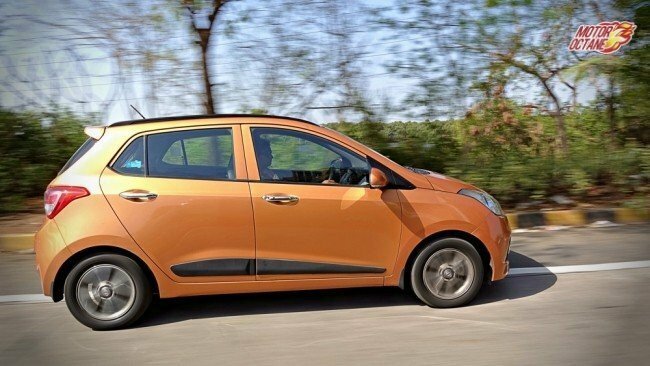 Hyundai is offering benefits of up to INR 103,000 on the new Grand i10. If you are looking at booking/ Test driving a Grand i10 in Mumbai, Pune, Delhi, Bengaluru or Hyderabad only please share your details with us. Fill the details if you are looking for Hyundai Grand i10 2016 in one of these cities only. For other Hyundai vehicle discounts. Click here. 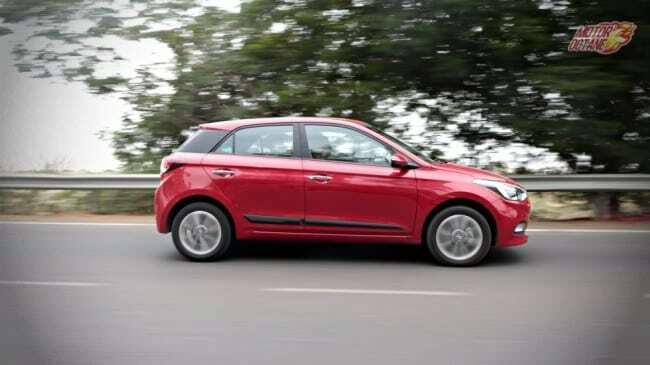 Hyundai i20 Elite Petrol vs Diesel, which is the correct one? 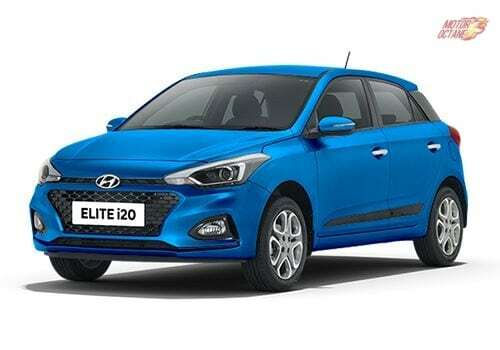 The Hyundai i20 Elite is a premium hatchback and one of the best selling cars in the country. Its design, size and features have appealed to many and hence it is one of the top sellers. 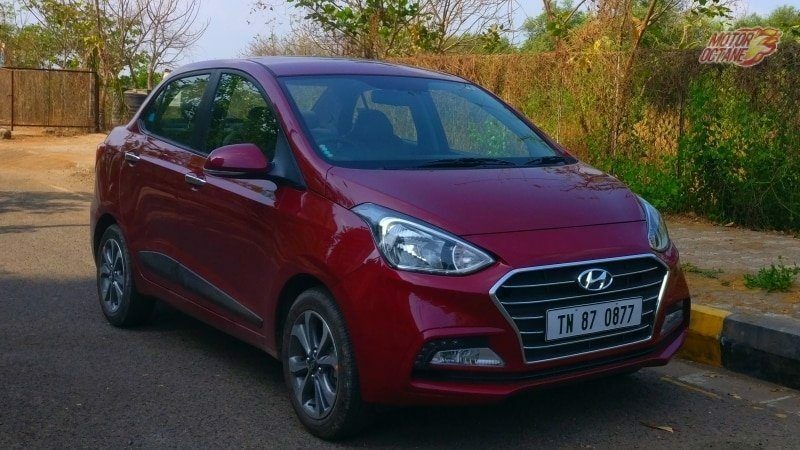 While making a buying decision, one question that often comes to mind is whether to go for petrol or diesel, as the Hyundai i20 Elite comes in both petrol and diesel versions. We try to solve this dilemma and make it simpler for you to decide. While the SUV segment in India is growing rapidly, buyers are also getting inclined towards automatic transmissions. Automatic vehicles provide hassle-free driving and they are a boon in city traffic. We compare two hot-selling urban SUVs in the Indian market which provide an option of a diesel automatic. The Hyundai Creta is a mini SUV which is just longer than 4 metres in length and is based on a monocoque chassis. The car doesn’t exactly look brawny and muscular but is very stylish with sharp and crisp lines. 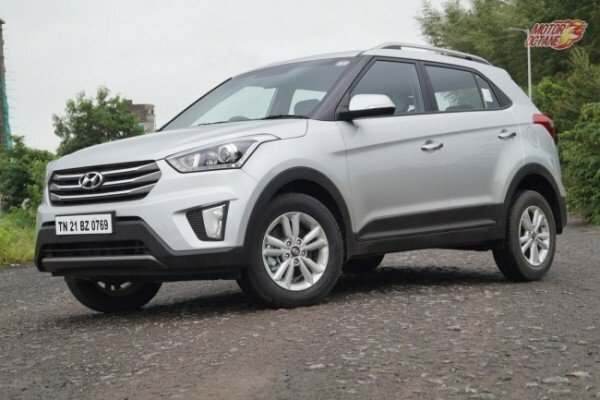 The Creta uses the Fluidic 2.0 design language on which recent Hyundai cars are based and it resembles the Santa Fe. The Mahindra XUV 500 is also underpinned by a monocoque chassis and has the looks of a proper SUV. It is bigger in size than the Creta and also has better road presence. Both cars offer projector headlamps and LEDs. The Creta AT has 16-inch alloy wheels while the XUV500 AT has 17-inch alloy wheels. The interior quality, fit and finish in the Hyundai Creta best in the segment. The space inside is decent. 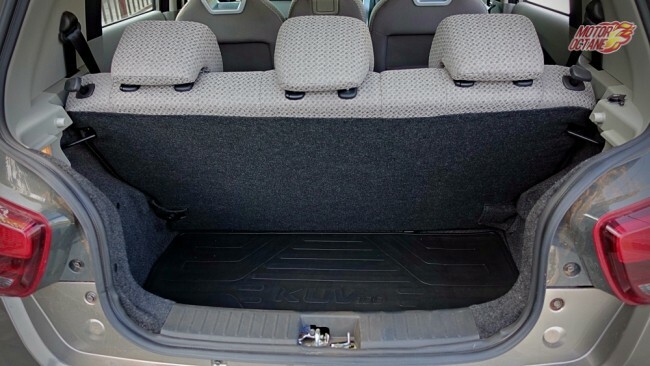 It hasn’t got oodles of space but isn’t cramped either, however, three adults on the rear seat can be a bit of a squeeze, the legroom is quite generous though. One may feel a bit claustrophobic at the rear due to the tapering window lines that make the rear feel smaller than it actually is. The XUV500 also has modern interiors which are now black in colour. 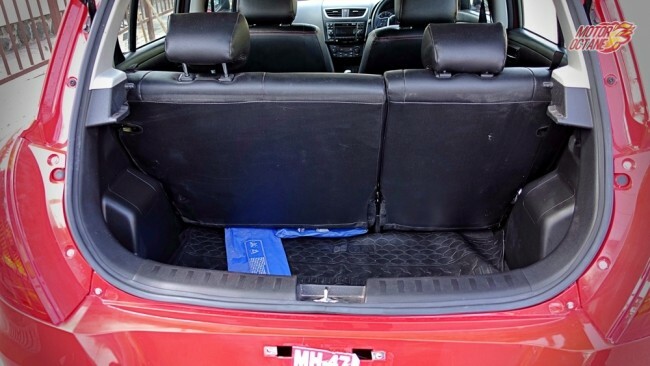 It has a more spacious cabin than the Creta and also has seven seats. Both cars are loaded with features such as touchscreen audio with bluetooth, steering mounted controls and reverse camera. 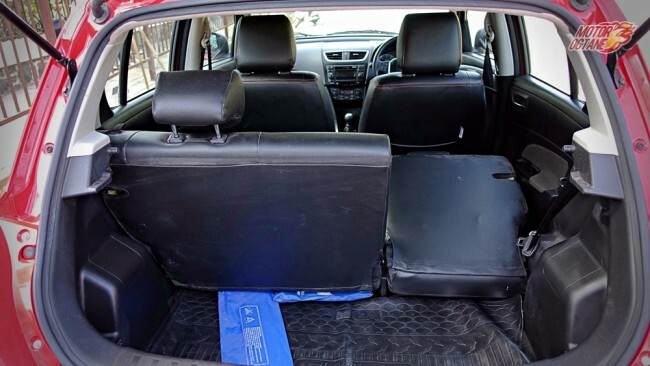 The XUV AT also comes with leather seats, which are not available on the Creta AT. The Creta AT offers six airbags and the XUV500 AT has cruise control and electric adjustment for the driver seat. The Hyundai Creta AT comes with a 1.6 litre diesel engine which churns out [email protected] rpm. It is a fairly powerful engine but is best enjoyed when driven moderately. Sudden acceleration is not its forte. The gearbox is a six-speed automatic one. The Creta AT is also available with a 1.6-litre petrol engine, delivering a power of [email protected], mated to the same gearbox. 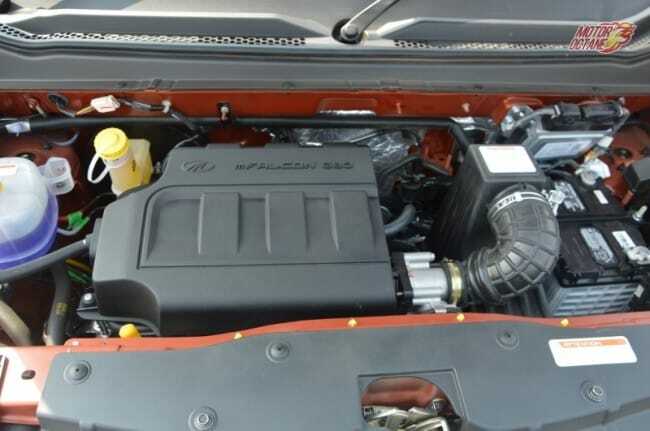 The XUV500 comes with a 2.2-litre mHawk diesel engine that produces 138bhp of power. The engine is refined and silent too. It offers good performance and is pretty powerful, with a good spread of torque. This engine comes mated to a six-speed automatic transmission. The XUV500 is the more powerful amongst the two and the gearbox is more responsive too. The XUV500 also has an option of AWD (All Wheel Drive). It is available with a 1.99-litre engine too, for the NCR region. The Hyundai Creta AT has an impressive ride quality. The suspension setup is integrated with ‘Hydro Rebound Stoppers’, the function of which is to stop jerks to pass on through the shock absorbers into the body. It drives well on broken tarmac and offers a fine ride at any speed. The steering response is better than most cars from Hyundai and the handling is also decent. 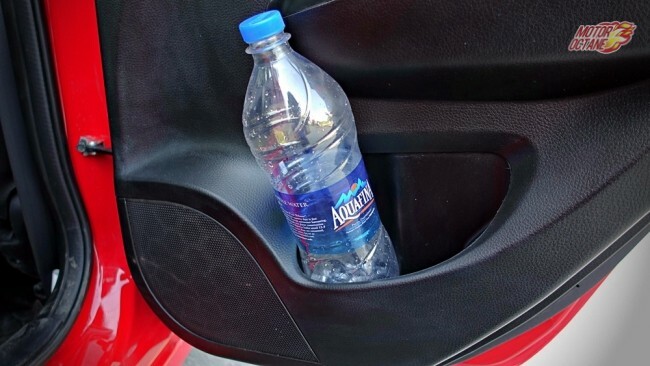 The Mahindra XUV500 AT offers pliant ride and it doesn’t feel stiff or too soft at any point. This makes it good to drive even on bad roads with ease. Cornering is not the forte of the XUV500 but it is pretty stable at high speeds and feels better planted than the Hyundai Creta. 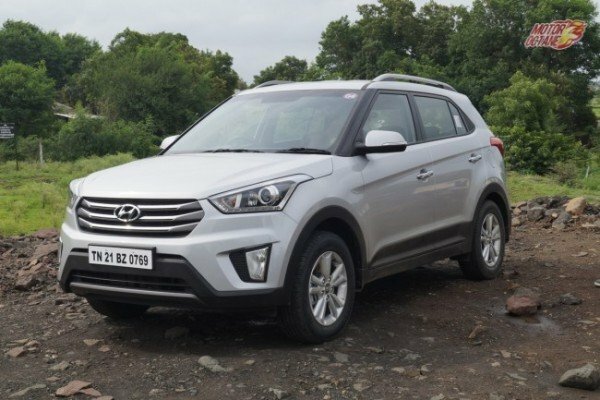 The Hyundai Creta and Mahindra XUV500 are one of the best diesel automatic SUVs below the 20 lakhs mark. Though they are different in size, seating capacity and performance, one can choose between the two as per preference. The Creta AT is good for a smaller family and a preferred vehicle to drive in the city as its engine responds best when driven leisurely. It is also easier to find parking spaces with the Creta. The Mahindra XUV500 AT is more suitable a larger family and if one wants to extract a better performance from the powertrain. The XUV500 also offers an option of AWD if one would be going off-roading. 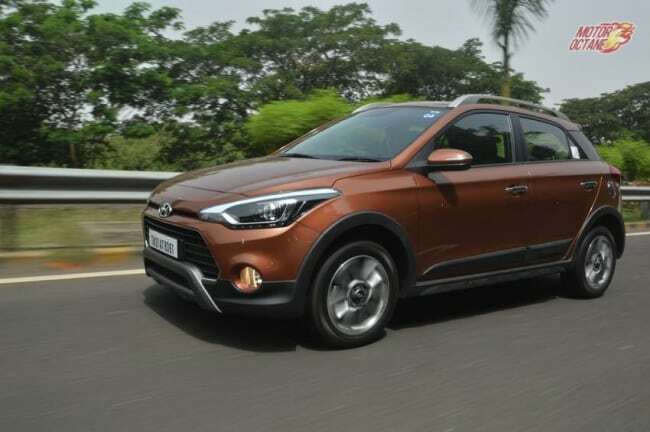 Hyundai Motor India, the Korean giant has been experiencing double-digit growth in the Indian automobile market which is almost double the industry growth, till recently. However, the company sees its growth reducing this year and hopes be at par with the industry. 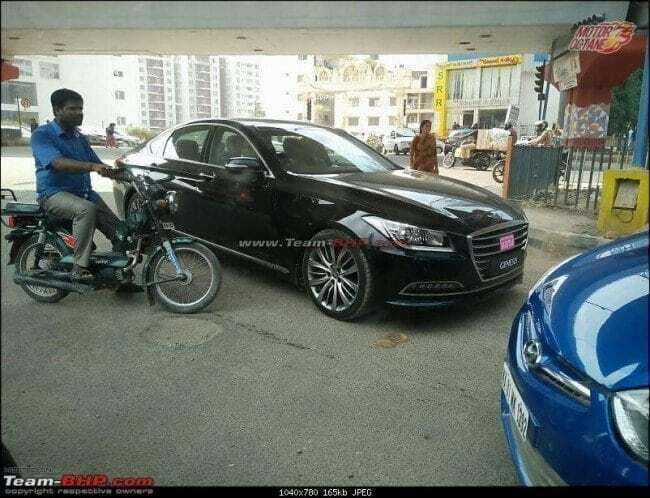 There were rumours that the Genesis will be soon coming to India and some images of the Genesis were shared too. However, when we spoke to the Hyundai officials they denied such a happening. There are three Genesis cars in Chennai and all are for the plant use. One of them is for the company’s Managing Director in India. 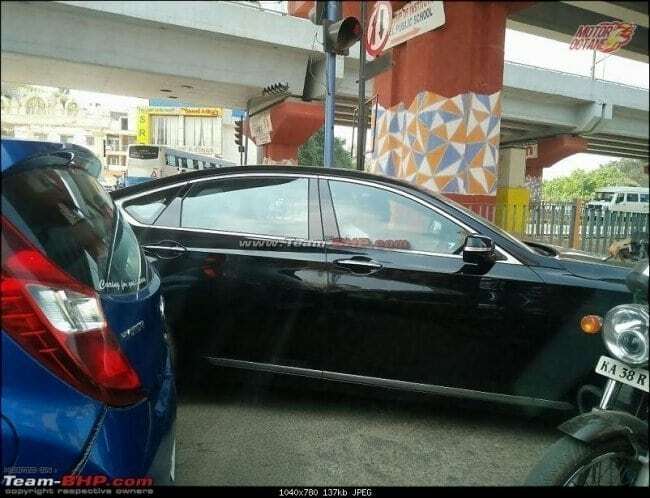 Another Genesis has been spotted in India, and this seems to be doing dealership rounds to showcase the company’s technologies. The fourth that came to India was in February 2016 hasn’t been sent back.